To find a cheap flight from Dubai to Beijing (the capital city of China); compare prices of all the airlines flying on this route. We encourage you to make use of our flight comparison tool to the left and the list of airlines (with links to their respective online flight reservation systems) below. Direct flights to Beijing are available from Emirates, China Southern Airlines and Hainan Airlines; while Cathay Pacific and Qatar Airways offer 1-stop flights. Keep an eye out for one of the most beautiful sites - the himalayas - as you fly direct from Dubai to Beijing. The distance between Dubai's Airport and Beijing Capital International Airport is some 5,837km. 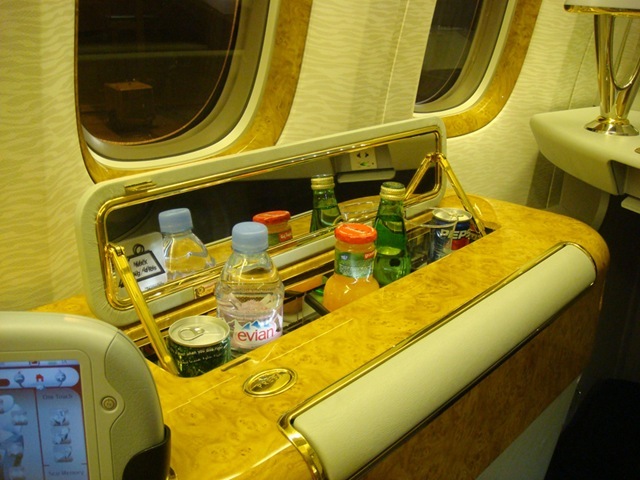 Emirates launches flight services to Beijing using Airbus A380 Aircraft. The 517 seat A380 operates as EK 306 departing Dubai daily at 04:10hrs, touching down in Beijing at 15:10hrs. The return flight, EK 307 takes off from Beijing Capital International Airport at 23:55hrs, landing at Terminal 3, Dubai International Airport at 04:20hrs the following day. Emirates begins direct non-stop flights from Dubai to Beijing. The inaugural flight EK306 was captained by Finn Zwager (Deputy Chief Pilot of Airbus) together with First Officer Yunis Al Marzouqi. The aircraft took off to Beijing (China) with a full complement of 14 flight attendants, including three Chinese nationals. The plane operating on this route is an Airbus A340-300. Emirates flight EK306 is scheduled to leave Dubai daily at 10h15 hours and arrive in Beijing at 22h10 hours. "While it is always exciting to launch services to a new destination, Beijing is doubly special as it is the once-traditional capital that has become the nerve-centre of China - a gigantic, dynamic country which has rewritten the world economic order. As the "factory of the world", China is a beacon of economic growth, a magnet for multinational corporations and a must on business travellers' itinerary. Beijing is extremely appealing to leisure travellers keen to explore the myriad attractions of the city - who wouldn't want to climb the Great Wall or visit the Forbidden City of the emperors at least once in their lifetime?" said Emirates Executive Vice President Commercial Operations Worldwide, Ghaith Al Ghaith. Poi & Kirsty described flying with Emirates as a real treat, although their flight from Birmingham to Dubai was delayed by 15 minutes. Their next flight from Dubai to Beijing took off on time and they managed to arrive on time. 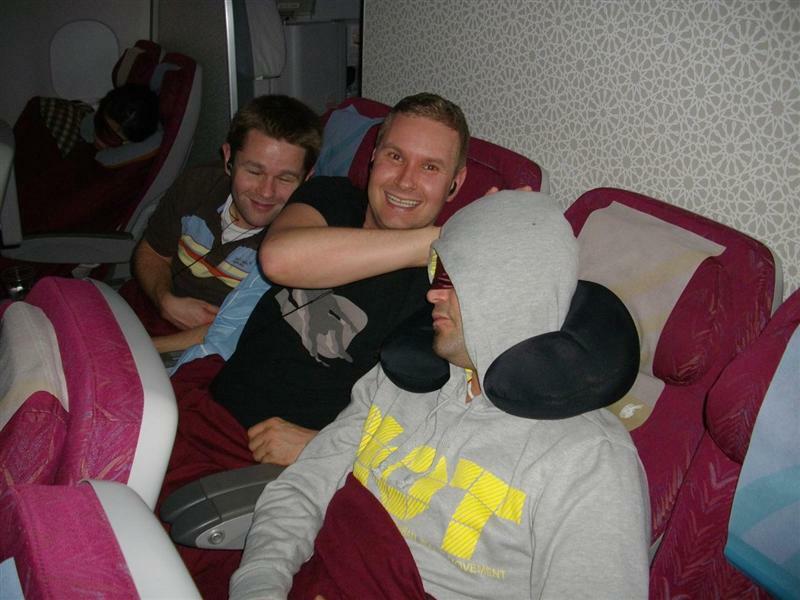 The "HikingViking" flew on a small Norweigian plane to Dubai, before flying Qatar Airways from Dubai to Beijing via Doha. They described the Qatar Airlines flight as "excellent" - each seat having its own tv, entertainment center, lots of movies, tv-series, music and videogames. 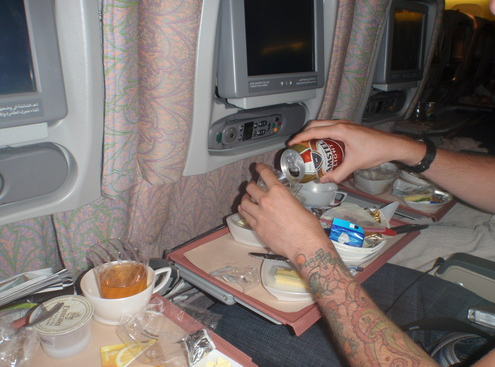 "GrillGuy" had the "best flight ever" with Emirates from New York to Dubai to Beijing (first class). If you're thirsty just press the button and out pops some refrigerated drinks. It is 4 hours later in Beijing (China) than in Dubai (United Arab Emirates). We suggest setting your watch to Beijing's time as soon as you board your flight (the earlier you begin acclimatizing to the new time zone the easier). View the map centred on Beijing below with its Capital International Airport pinpointed (click on the link to find directions to locations in and around the city). Beijing falls in the monsoon region; experiencing hot, wet summers and cold, dry winters. The 4 star Eastern International Hotel offers comfortable and luxurious rooms to its visitors. It is situated in the Wangjing commercial centre of Beijing and provides convenient access to the train and bus station, as well as the city centre. A popular choice of accommodation while visiting the capital of China is the Shatan Hotel. It is conveniently located in the city centre, within walking distance of the Forbidden City (Imperial Place), Jingshan and Beihai Park, Wusi Avenue, and TianAnMen Square. If you’d prefer to give your wallet a holiday, why not stay at the 161 Hostel. It provides a clean environment for prices that wont make you cry, and offers hotel like facilities. The Hostel is located in the protected Hu Tong area of "Old Beijing" and within comfortable range of many attractions. For more information, or to book a room, please make use of the provided search engine.